The ultimate tool for building laser structures, scratch built projects & more. Hobbyists that build their own model structures from kits can attest that the experience is both fun and extremely satisfying. They also know that it can be a challenging and time-consuming process. As modelers ourselves, we understand that having the right tools of the trade can make all the difference. 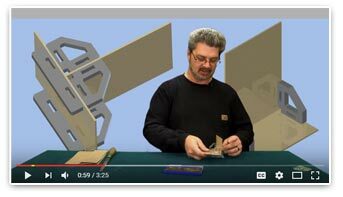 What if you could offer a product to modelers that would allow them to assemble walls more quickly, effortlessly, and at perfect 90-degree angles? 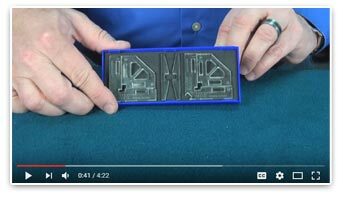 Imagine a tool that comfortably holds parts in place, while still offering the flexibility to shift them to the perfect position. Let the tool do the work while adhesive is applied and then concentrate on more enjoyable activates while the parts are held reliably in place. With the Rite-Way Clamping System, enthusiasts can dedicate more time to the enjoyment of their hobby. 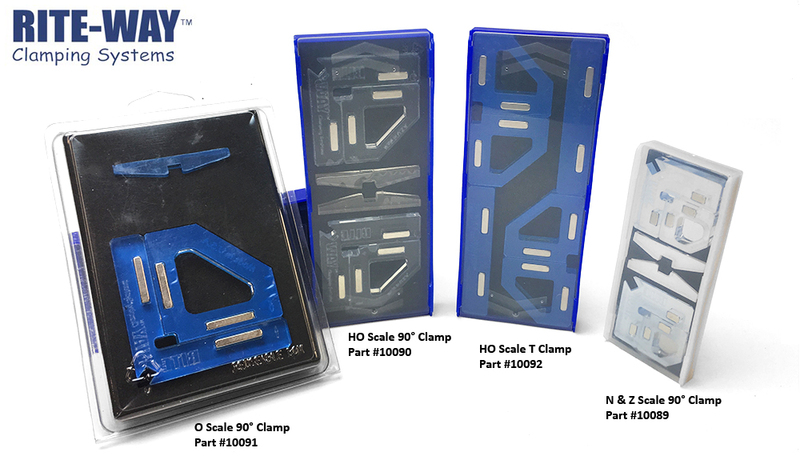 Available for O Gauge, HO, N, and Z scale structures, the Rite-Way clamping system provides and fast and easy way to hold two parts together at perfect 90 degree angles. The clamps come in a pack of 2 and are made of a clear acrylic, which offers better visibility when working with model parts. The strong magnets produce approximately 14 lbs of force, allowing the clamps to auto-adjust for varying material thicknesses, and do not require the twisting action found in tools like the c-clamp. The positive stop on the edge of the Rite-Way clamps ensure a perfect alignment, and the access windows provide an easy way to apply adhesives. Another advantage is the included stabilizer base that makes the loading of materials even easier.